3/13/2019 10:53:24 AM	[Error]	Destination error: [DST-2:1001#101101011] Failed login to … destination. > Rebex SFTP/SSH does not support FTP or FTP/SSL protocol. Use Rebex FTP/SSL component instead. Same when I try to test the connection. I’m using 12.2.3 - Standard license. 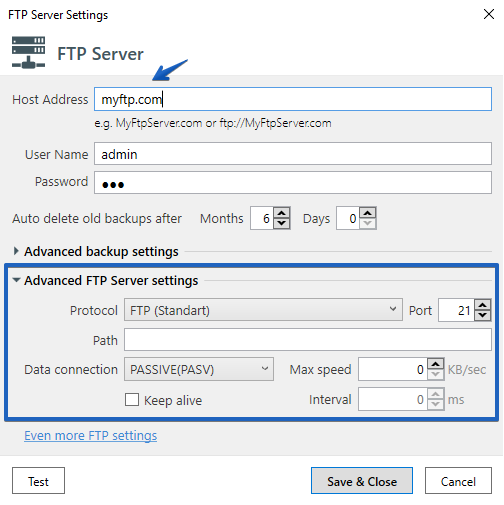 Could you please make sure that you have specified only your host address at the “Host Address” box, you can specify a Protocol and Path at the “Advanced FTP Server settings”.